Today is National Handshake Day. Why? The jury’s still out on that one. What we do know is that handshakes today and every day make some of us verrrry squeamish. Sure, a handshake is meant to resemble a sign of peace. But when you really think about it, there is nothing peaceful at all about the deliberate exchange of infectious bacteria from one palm to another. In fact, thinking about such an everyday behavior this way is quite disturbing…but I digress. Hopefully today’s product focus on all things sanitary will help give peace of mind to those whose hearts start racing as soon as they encounter the extended hand of a stranger. What if they didn’t wash their hands after going to the bathroom? Or worse, what if they’re a nose picker? If you’re particular about germs, your mind has inevitably been invaded by thoughts like these when meeting someone new. Especially if they seem a bit…shall we say, unkempt? We know you all carry around hand sanitizers in your cars, purses, and backpacks to combat the potential aftermath of such situations, but are you getting the best germ-killing bang for your buck? Today we’re putting the tried and true brands to the test. Is Purell worth the hefty price tag? Or is there a better offer on the market? We compared Purell with Aloe to Target’s Up & Up version. Here’s what our reviewers have to say. While Purell has less of an initial chemical smell than the Up & Up hand sanitizer, our reviewers found the look and feel to be practically identical. With a difference of almost $3 for the larger size and a $2.30 difference for 8 ounces, we recommend making the switch. Are the savings worth it to you or are you a die-hard Purell fan? Which option will be your saving grace today? 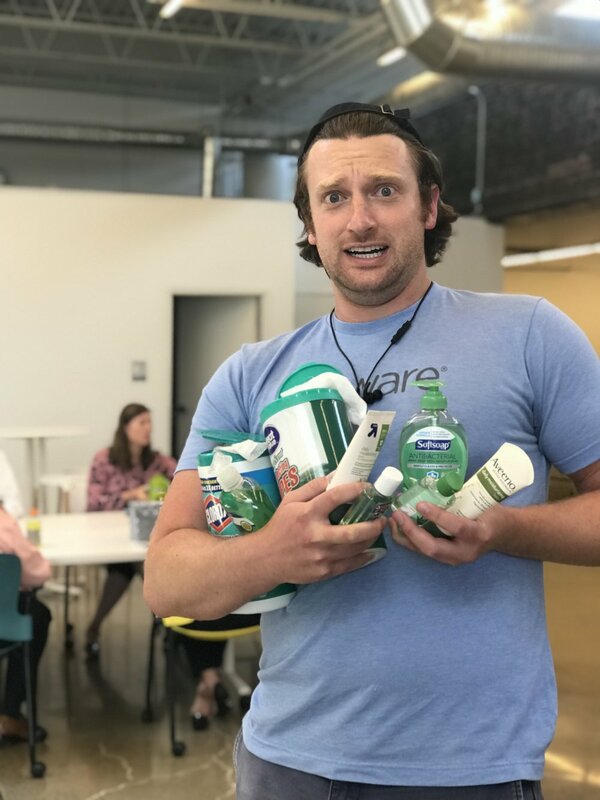 Hand sanitizer is a great quick fix when encountering germs, but you don’t want to neglect a good ole’ rinse, lather, repeat. We see you, germaphobes. We know how much soap you go through, so here’s a hand soap guide that can help you save. Equate for sure, next question. This Walmart store brand version has fewer ingredients, and it leaves the hands feeling softer after a wash, unlike the sticky after feel of Dial. If you’re picky about packaging, the Equate soap does require some extra force to pump out. Regardless, the store brand option is our choice. If you have sensitive hands, you may be able to detect a difference. However, the majority of our reviewers found these two products interchangeable. Again, the Equate pump is a bit stiffer, but for our reviewers that wasn’t a big deal. Overall, the smell and feel are practically identical. While we’re on a cleaning kick we might as well keep going. These two disinfecting wipes have impressively similar packaging, but that’s about it. When we directly compared the wipes themselves, the Great Value wipe has an unpleasant chemical smell while the Clorox version boasts a lemony fresh scent. There is a clear difference in quality as well. The Great Value wipes are thin, flimsy and dry out quickly. Compared to the thick, durable Clorox wipes, saturated with cleaning product, Great Value doesn’t stand a chance. We recommend splurging on the Clorox wipes. All this washing and sanitizing can leave our hands dry and cracked. It’s important to keep your hands moisturized because you don’t want to be the person everyone dreads shaking hands with! Both of these daily lotions work for hands and bodies. The mini version is especially great to keep in your bag or on your bedside table for when your hands need some TLC. Our reviewers found similarities between their consistency, smell, and application, and would recommend switching to save. The Up & Up version is a dollar less than Aveeno, and contains 3 ounces of product while Aveeno only has 2.5 ounces. 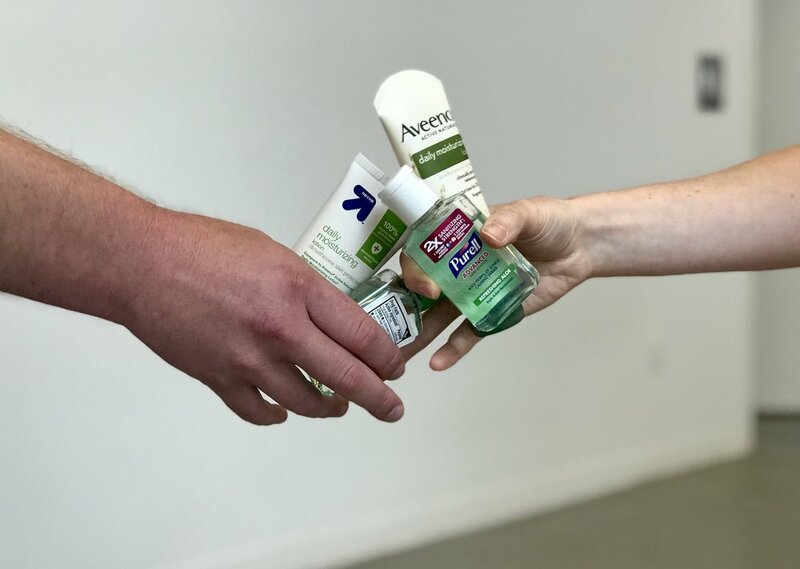 Brandefy has got you covered on this National Handshake Day. What's your go-to defense against the spread of germs?